While President Obama left an executive clemency legacy, it is important to look at the breakdown of this legacy compared to former presidents. President Obama used all of the clemency powers available to him: commutations of sentences, pardons, remission of fines, and reprieves. President Obama granted more clemency than any other President in 64 years. However, he also received the most requests for clemency than any other president. His administration set up an initiative in 2014 to shorten prison terms for nonviolent federal inmates convicted of drug crimes, which led to the increase in clemency petitions. However, when you break down the numbers, President Obama is on the lower percentage end of total clemency petitions granted. According to Pew Research, President Obama only granted 5% of the clemency requests he received. Compare this to earlier presidents like President Kennedy who granted 33%, President Truman who granted 41%, and President Franklin Roosevelt who granted 28%. The number of Obama pardons is also on the lower side when compared to previous presidents. President Obama granted 212 pardons during his eight years as president, President Nixon granted 863 pardons, President Carter granted 534, and President Clinton granted 396. President Obama’s legacy concerning pardons pales in comparison to some other presidents. However, where President Obama differs the most with his predecessors is his granting of commutations of sentences. Here, President Obama left his mark. President Obama granted 1,715 commutations. In comparison, President George W. Bush granted 11, President Clinton granted 61, and President George H.W. Bush granted only 3. President Obama was also notable in the amount of commutations granted at once. In 2016, President Obama granted 583 commutations and six pardons. In one of the last weeks of his presidency, President Obama granted clemency to 273 federal inmates. Only a few days later, President Obama commuted 330 sentences of federal inmates in one day. This set a record. Over 80% of President Obama’s commutations were granted in his last six months as president. Another record President Obama set was the number of denials of clemency. It makes sense, of course, since he received such an enormous amount of petitions for clemency. At the end of 2016, President Obama had denied 14,485 petitions. It is important to note the distinction between a pardon and a commutation. Pardons typically are granted to people many years after they have already served time and as a formal gesture of forgiveness. Pardons can also restore rights, like voting for convicted felons. In contrast, commutations can potentially free people from prison or otherwise reduce a sentence. President Obama clearly made a point to grant thousands of commutations that ended the prison sentences of many felons. Optically, pardons can also be considered riskier than commutations. Any grant of clemency can be publicly scrutinized. President Obama disregarded much of this scrutiny and continued granting commutations at an enormous rate. But, President Obama’s clemency grants did not come without public criticism. Perhaps the most public outrage came when President Obama commuted the 35-year sentence of Chelsea Manning. Manning served seven years of a 35-year sentence at the time of the commutation. Manning was convicted of leaking sensitive military and intelligence documents to Wikileaks. Many in the military and intelligence communities were angered by this action. This also was a departure from the impetus for his clemency initiative, which was to target lower-level drug offenders. Another controversy included the release of Oscar Lopez Rivera. Rivera headed a cell of the Armed Forces of National Liberation which fought violently for Puerto Rican independence. This organization claimed responsibility for more than 120 bombings that occurred in the 1970s and 1980s. These bombings killed six and injured many more. Many called this unconditional release not in line with President Obama’s clemency initiative as well. Rivera was in the middle of serving a 55-year sentence for armed robbery, seditious conspiracy, and interstate transportation of firearms. President Obama published an article in Harvard Law Review in which he discussed his ideology about promoting criminal justice reform. He described his approach of pardoning and executive clemency reminiscent of earlier times in the United States where the president took a larger role in regards to the justice system. 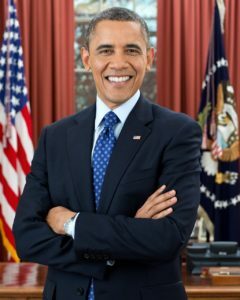 President Obama stated that he believed the President has an opportunity to use the executive clemency power to draw attention to the injustices of the current judicial and criminal system. This view is not held by everyone. Many people believe in a strict separation of powers and that President Obama potentially overstepped his boundaries and moved into a more legislative role rather than his proscribed executive role. What many do agree with, however, is President Obama’s belief that federal drug sentences produce injustice, especially concerning minority offenders. How to correct this injustice, continues to be argued over. One bipartisan effort that President Obama championed was the Fair Sentencing Act of 2010. This act reduces the disparity of criminal sentencing between crack cocaine and powder cocaine. This disparity, which has been law for decades, is cited as seriously contributing to the racial disparity of those convicted and sentenced for drug offenses. This act also eliminated the five-year mandatory minimum sentence proscribed for simple possession. At the end of his term, President Obama still had around 13,000 commutation petitions waiting for a response. While it is still relatively early in the Trump administration, President Trump has expressed and hired administration officials who have a very different perspective than the Obama administration. Former Attorney General Jeff Sessions strongly favors enforcement of the current drug laws and mandatory minimum sentences for federal drug offenders. Former Attorney General Sessions believes that strict enforcement of drug crimes contributes to the current low-level crime rates. When compared to other presidents, President Obama set a clear legacy with his clemency initiative. He also sets himself apart with the amount of commutations of sentences granted. It remains to be seen how this legacy will continue with future presidents.